Don’t be in the dark about mushrooms. 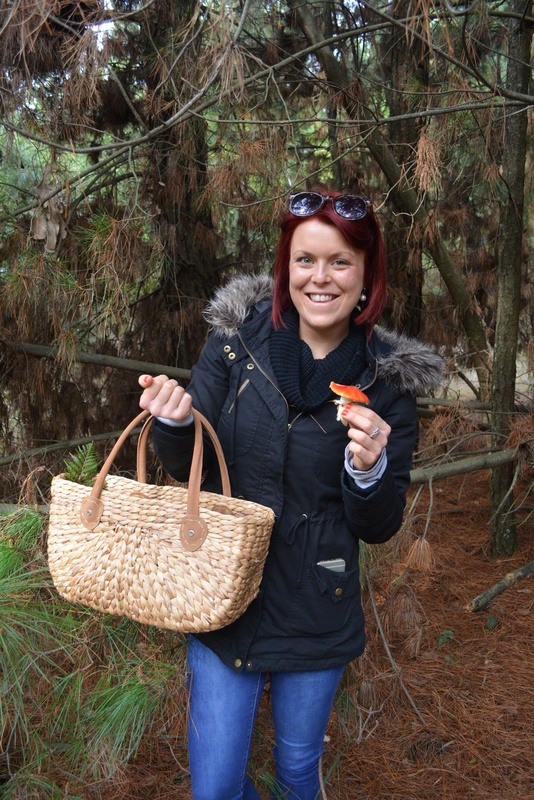 Or Mushroom foraging. 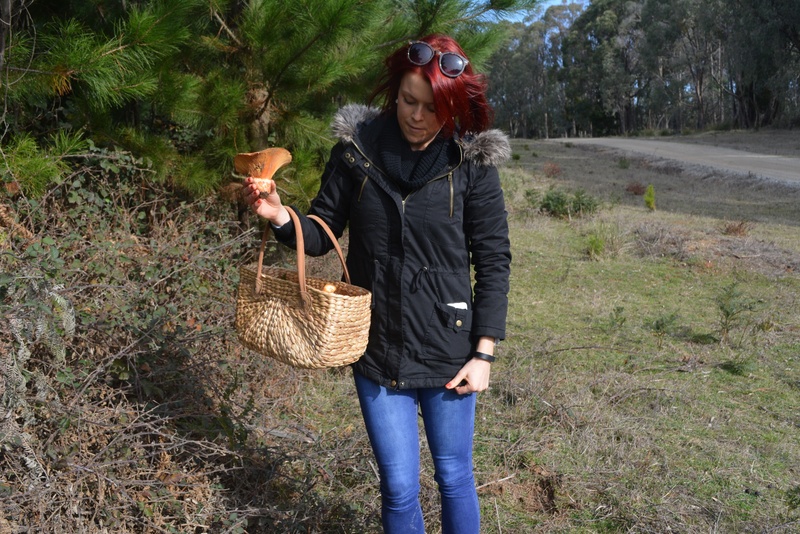 So on Saturday I channelled my Mother’s childhood and went mushrooming. 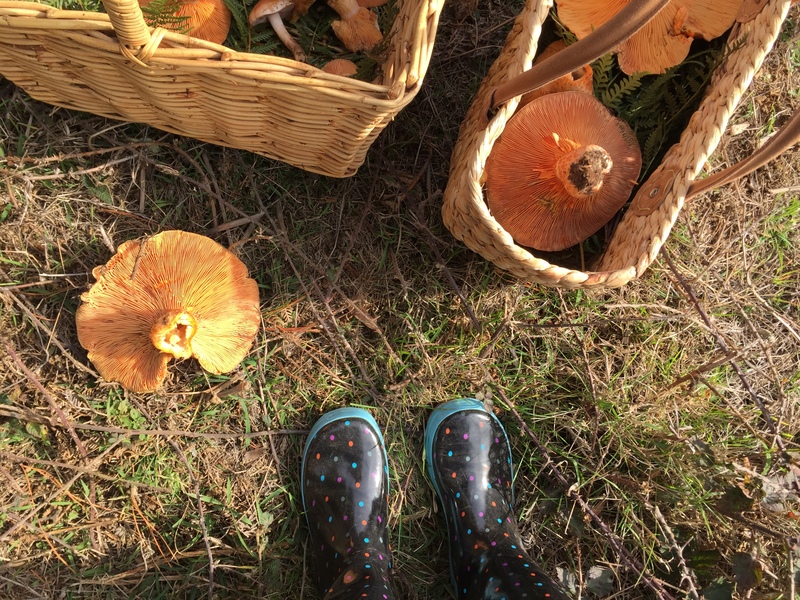 With strong skinny lattes in hand, Sarah & I made the trek two hours north of Melbourne to donne the gumboots and test our luck at mushrooming. We met Emma Stirling, her equally-social-media savvy daughter Lucy and her mum. This was a little special. Em’s mum grew up in the same small country town as my grandmother, and her sister, who happened to teach me textiles in year seven and eight, was best friends with my Grandmother. It gave me that warm, fuzzy feeling. We were also joined by some faces from Instagram, some neighbours, some friends, and ofcourse the experts in the field – Jim Fuller and his team. They taught us all we need to know about picking, eating, storing and cooking mushrooms. 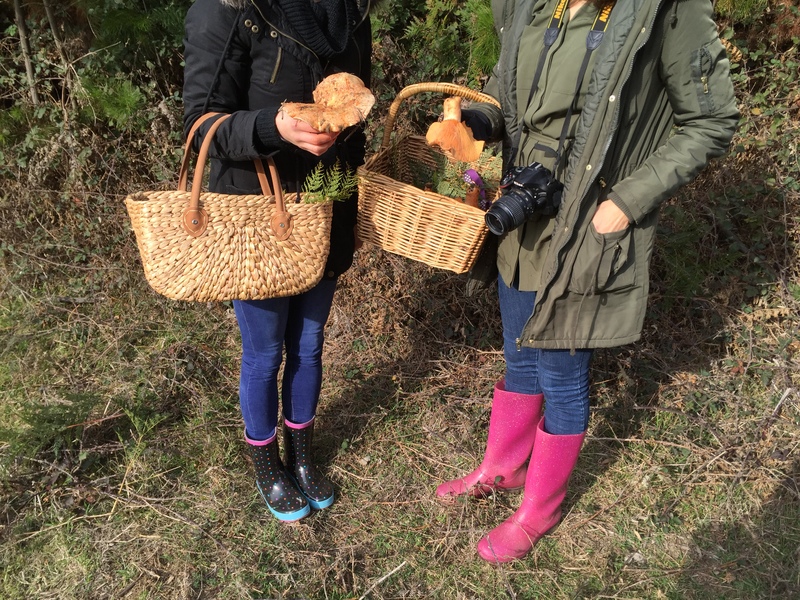 For a lovely recall of our afternoon of foraging, pop over to Sarah’s beautiful blog. Must I say, I do appreciate the vibrancy of my hair and the children’s gumboots I picked up at Kmart in preparation. 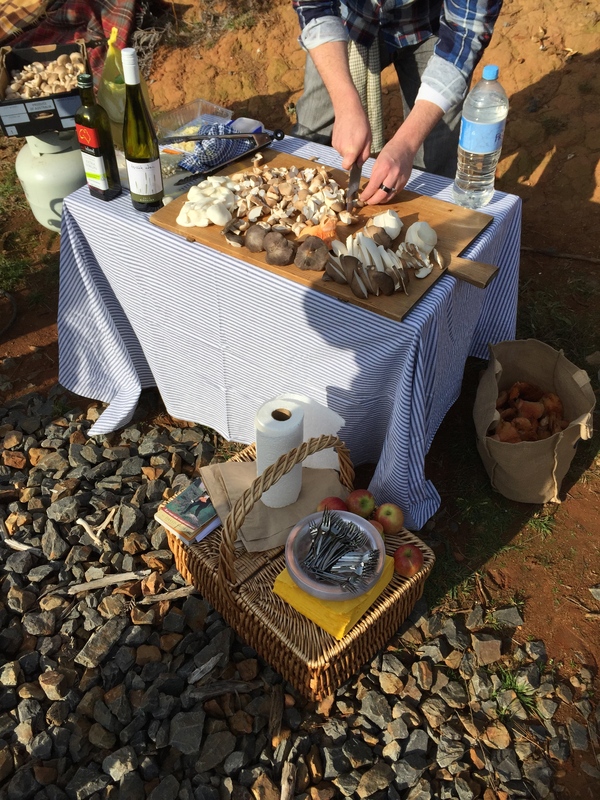 So why after travelling all week for work, would I want to travel more to spend the afternoon foraging mushrooms? ∼ It’s a novelty way to spend time with your friends. I really appreciated the two-hour trip up, and the two-hour trip back with Sarah. We talked serious life chats, we talked food (naturally) and we talked jibberish. ‘Friends who porridge, friends who forage’, and ‘I’m slice of sarah, not sarah who slices’ was also thrown around. ∼ You almost become a child again. Coming across Super Mario Toadstalls was pretty exciting and may potentially be the reason I collected no edible mushrooms in round one of picking. Maybe. ∼ It’s incidental exercise. Plus when you nearly fall flat on your face because you didn’t see the kangaroo sleeping on the ground, it gets your heart rate up too. ∼ Food puns are appreciated. ∼ It results in food. And mushrooms are a great food. I cringe at what I’m going to say next but they are nature’s superfood. Power of Mushrooms does a wonderful explanation of the term ‘superfood’, acknowledging there is no formal definition, and highlighting two important points: they should be easily available and affordable, and they should be easy to consume in amounts that provide a benefit. Mushrooms can be consumed at every meal – with smashed avocado on capeseed loaf, in a salad or burger for lunch, and mixed through pasta, rissoles or in a delicious chicken, leek & mushroom pie or risotto for dinner. They can be a side, a sauce and I even like to eat button mushrooms raw. What is really exciting about Mushrooms is that they naturally have Vitamin D.
Generally, our best source of vitamin D is the sun. ‘What sun?’ I hear you ask – don’t worry, I am feeling you there. The Ultraviolet (UV) radiation from the sun is necessary for converting the precursor for Vitamin D in the skin into its active form. And the active form of Vitamin D is the hormone that controls the calcium in the blood. It enhances the absorption of calcium, and therefore is essential for development of bones, teeth and muscle, and preventing osteoporosis. Unfortunately, living this far south of the equator means that in winter many of us do not have adequate levels of Vitamin D. In fact, we need to be spending about 7-40 minutes outside around noon, most days, to ensure we are getting adequate Vitamin D.
But there is mush room for improvement in the food stakes. Aside from the flesh of oily fish, liver, cheese and egg yolks, mushrooms are rising out of the pine needles and reaching for the sun. So how much do we need to eat? Or just one flat mushroom. Now, that is easier and tastier than those Vitamin D supplements you try and remember to take. ∼ Mushrooms live in their own biological kingdom. Which means that it is not a plant, so the nutrition profile is different to that of fruit and vegetables. ∼ The savoury flavour of mushrooms is due to the natural glutamates, and there is no need for the salt shaker. ∼ A serve of mushrooms provides over 20% of the RDI for each of the B vitamins riboflavin, niacin, pantothenic acid, biotin, and the minerals selenium ad copper. ∼ Mushrooms have bio-available vitamin B12 on the surface and in the flesh – so don’t peel them! Just wipe the tops on kitchen paper. ∼ They are super low in kilojoules, and research reveals that they are filling and dampen the appetite at subsequent meals. I’m now off to the supermarket to forage some button mushrooms. I’m thinking chicken and mushroom pie. < Hip hip hooray, it’s my blogs first birthday.